I came across this fascinating theological riddle many years back, “What man-made thing is now in heaven”? And the answer is – the SCARS in Jesus’ hands, feet and side. 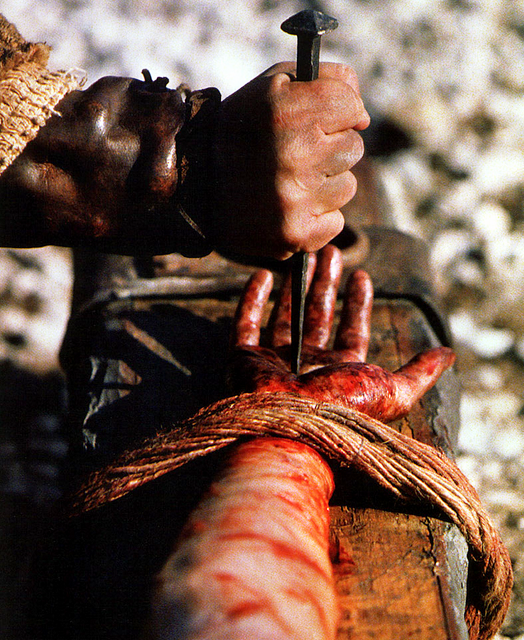 Those bodily scars were created by nails and the centurion’s spear during Christ’s crucifixion. Those marks were sought by Thomas as proof of Christ ‘s resurrection (John 20:25 – “Unless I see the nail marks in his hands and put my finger where the nails were, and put my hand into his side, I will not believe it.”). I remembered this riddle fairly recently when I took a bath and saw the scar at my side. It was the scar that resulted from a CTT tube insertion administered to drain fluids from my lungs. When I looked at that scar, I was reminded of its significance. Without such wound, the doctor couldn’t have performed the pleurodesis procedure and I couldn’t have returned to my normal breathing pattern. That wound has been a step towards my healing. That wound is necessary for me to be treated. The scar resulting from that wound serves as proof that we have exhausted all means to treat my bodily problem. Reflecting on this theologically, I am reminded of my own sinfulness, and of my deep gratitude to God for giving us his son, Jesus Christ, to die for our sins. In Isaiah 53: 5 it says, “But he was pierced for our transgressions, he was crushed for our iniquities; the punishment that brought us peace was upon him, and BY HIS WOUNDS WE ARE HEALED. Without the scars in Jesus body, we are still on our way to perdition. But thanks be to God, we were forgiven!